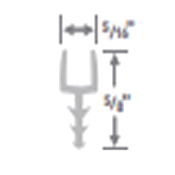 Track Base is used to secure your transitions to the subfloor and keep them in place. Track base is available in vinyl and aluminium, depending on the type you need. 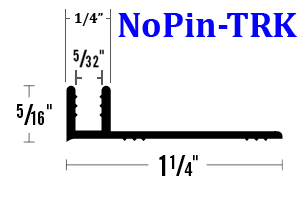 All track base must be attached to the subfloor with adhesive, nails, or screws. 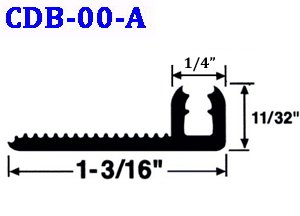 Uses: Can be used instead of Pinless Aluminium Track Base. Flexible, and can be used for curved transitions when slots are cut out of the insert base. Uses: Used for straight runs of transition strips. Can be used with any type of flooring Except stretched carpeting. Uses: Generally used for Stretched Carpeting Only. 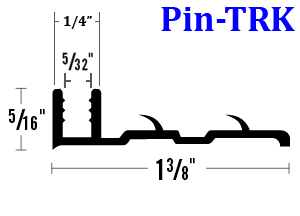 Used for straight runs of transition strips.